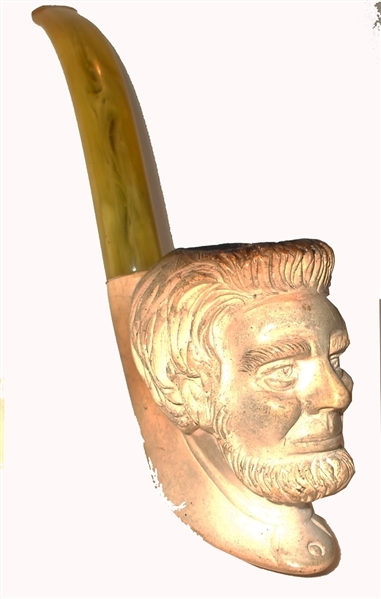 Lincoln Meerschaum pipe, 2” x 3” bowl, with face of sculpted President Lincoln. Bakelight stem is present. Lightly smoked (no odor) provides a light patina.